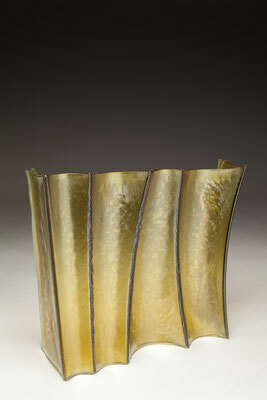 I trigger processes within the kiln which result in organic, seemingly random forms. 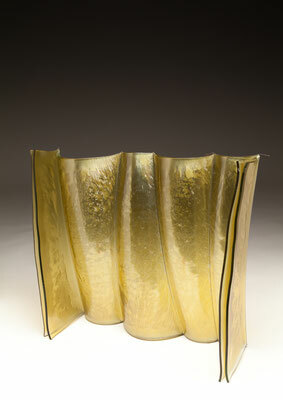 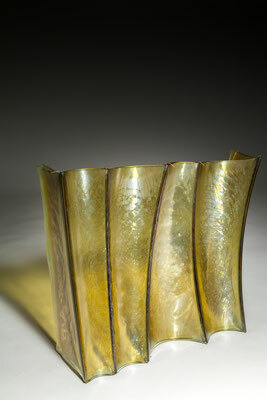 When embedded within glass, metal oxides become beautifully transparent and create a swirl of air inclusion. Sheet metals oxidize and break up when subjected to high temperatures. 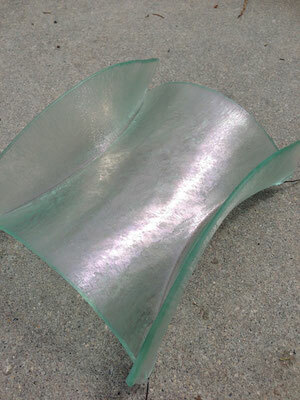 Specialized technical coatings on window glass can be manipulated so that they break up and iridize. 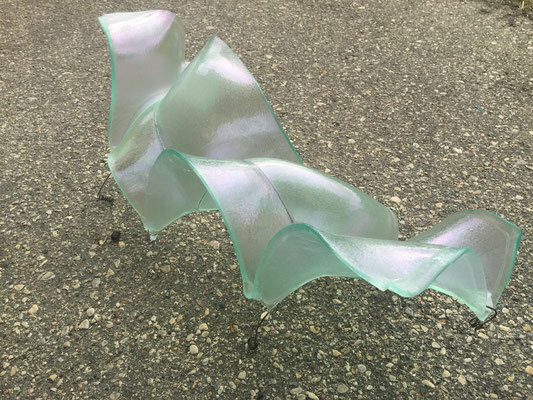 When impeded by an embedded metal matrix, glass will move into a series of catenary arches which convey a sense of gesture and intention. I control the setup, but I can only loosely guide the result. 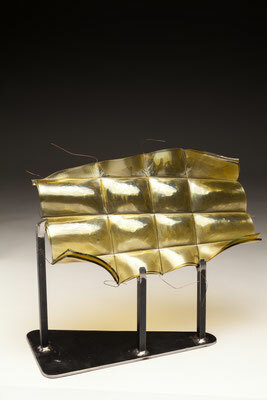 The materials undergo a strange alchemy with the heat. 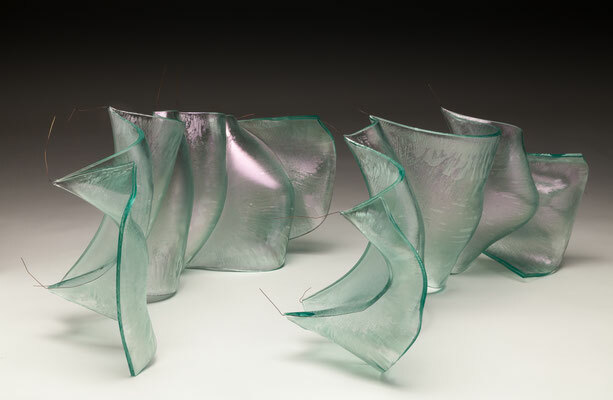 Throughout my artistic practice, I seek to capture movement, to freeze that instant. 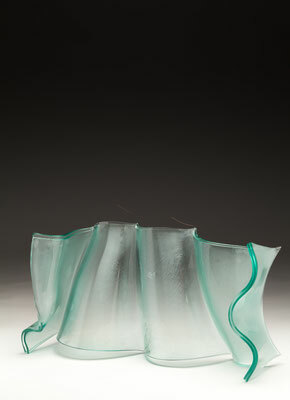 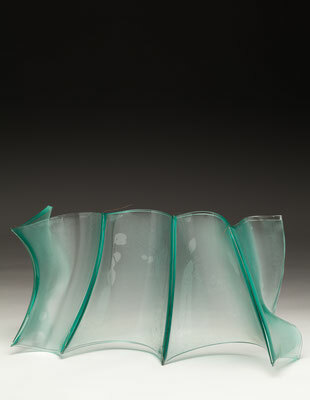 I am interested in the tension between the fleeting nature of a motion and the relative permanence of the glass. 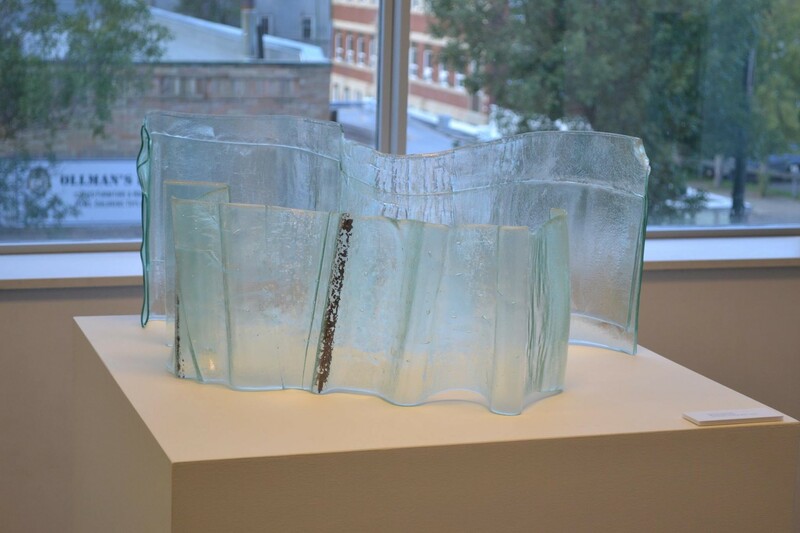 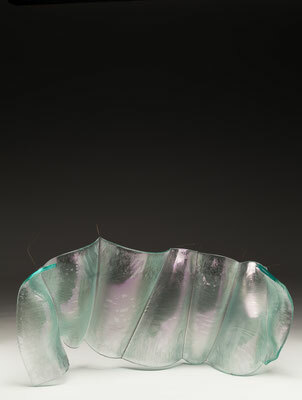 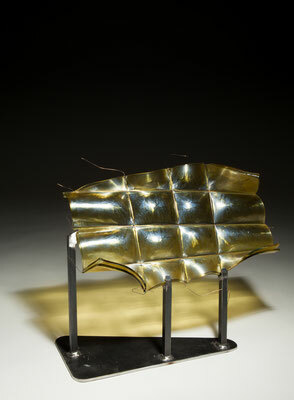 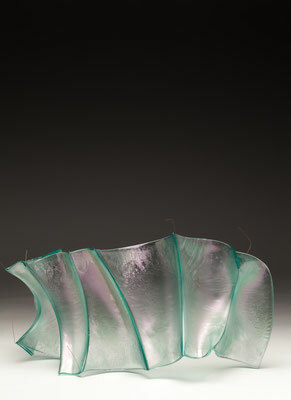 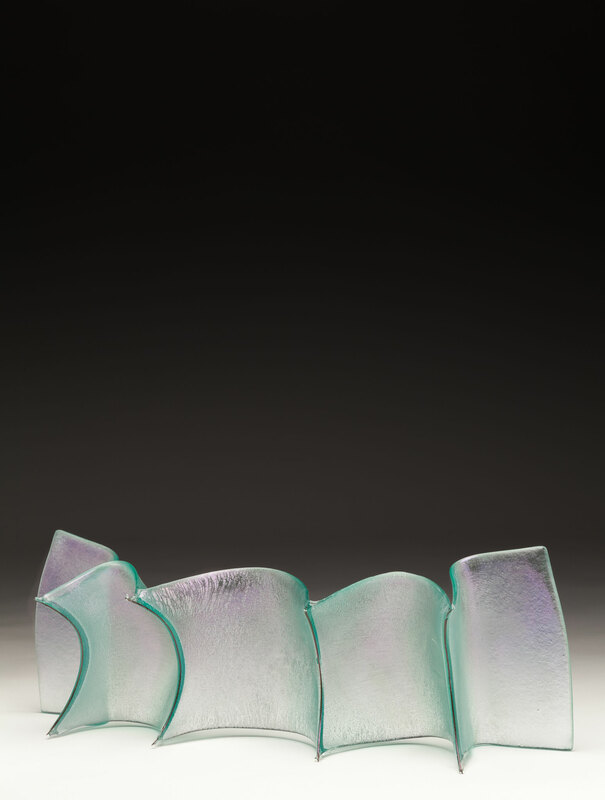 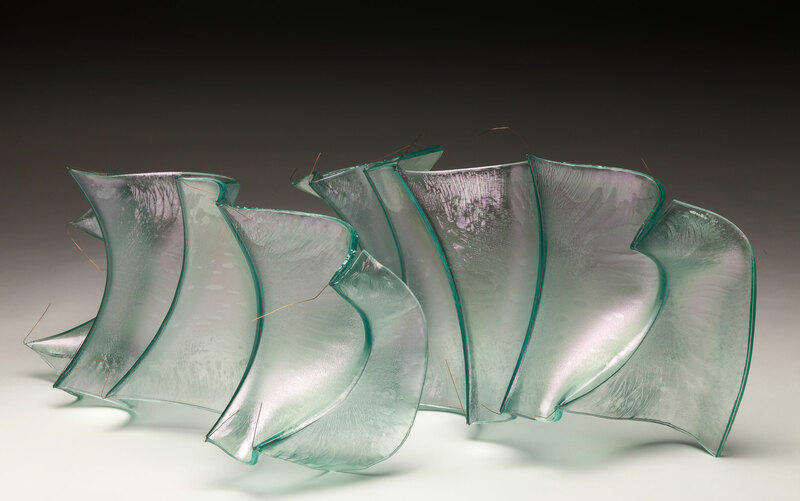 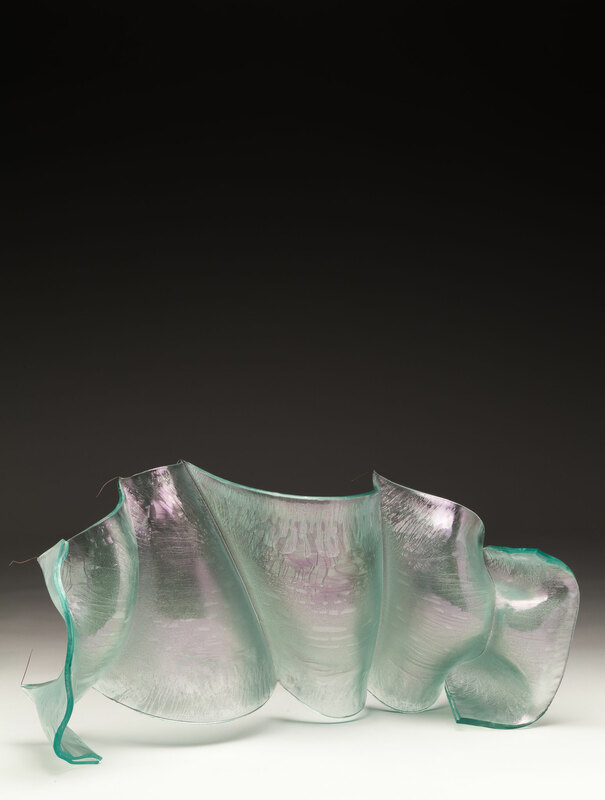 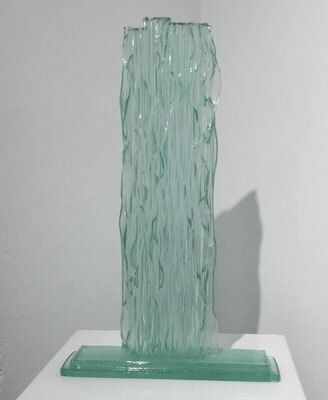 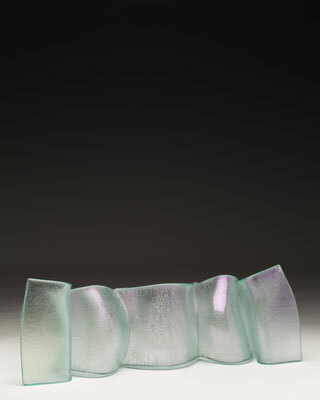 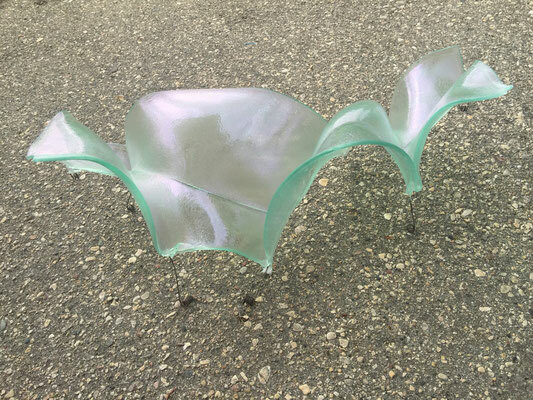 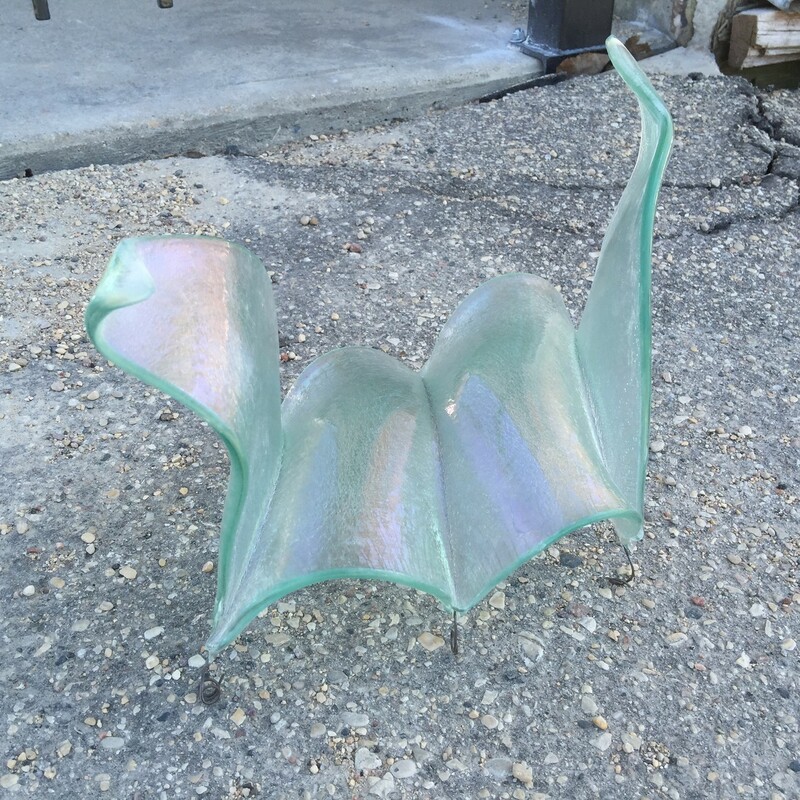 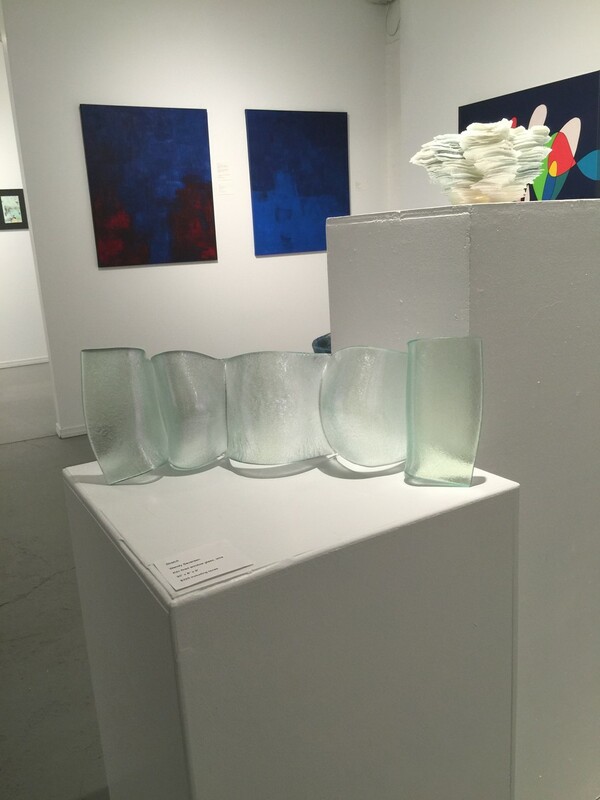 My practice has drawn inspiration from such artists as Mary Shaffer, Kristin Gudjonsdottir, and Pipaluk Lake, all of whom have worked with glass in unconventional ways, creating new vocabulary for the material.